Salad comes together, with bright red cherry tomatoes, crunchy cucumber, sun dried tomatoes, scallion and my favorite part: toasted pine nuts and creamy feta. 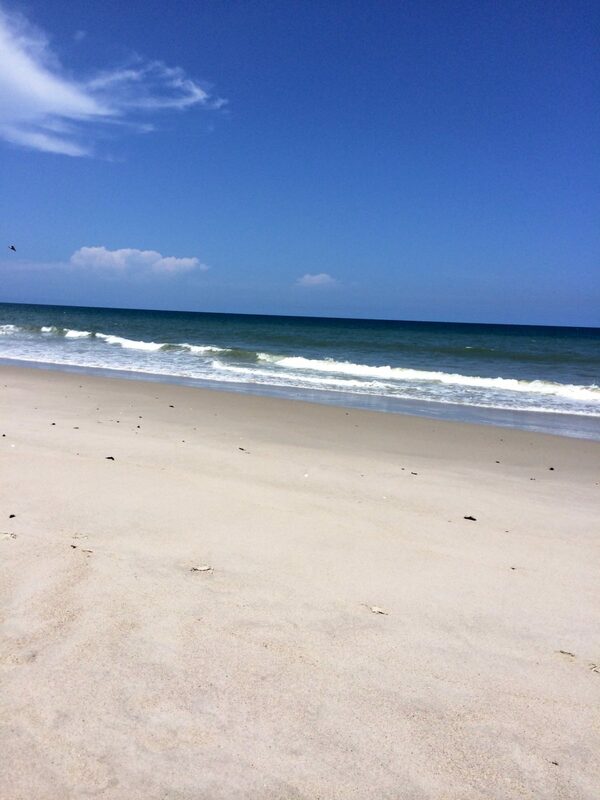 the beach it is a lot easier to serve because there isn’t a big bulky bowl and plates to deal with. My goal for summer parties is to always enjoy myself with good friends, food and drinks and not spend it stuck in a kitchen or dealing with unnecessary messes. 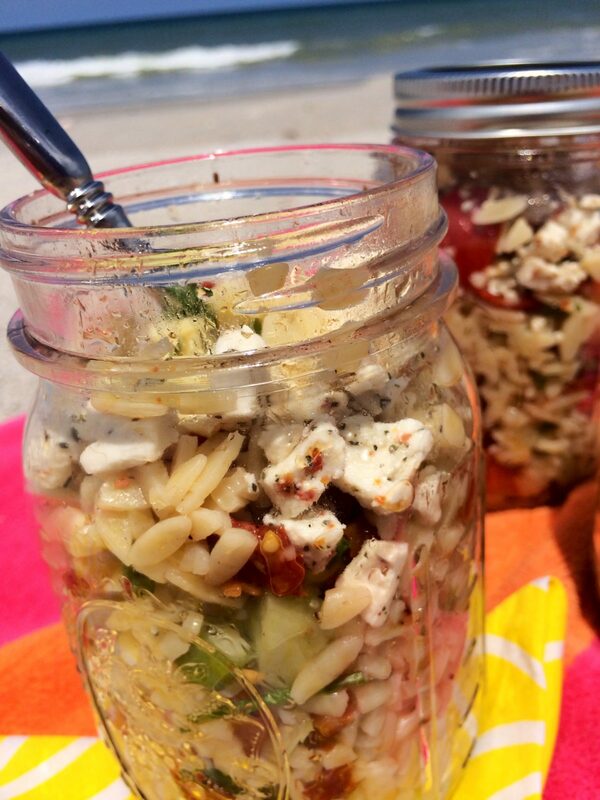 This colorful orzo salad, with the cute mason jars and the sounds of the beach and ocean in the background, makes for a picturesque summer beach picnic for all to enjoy. 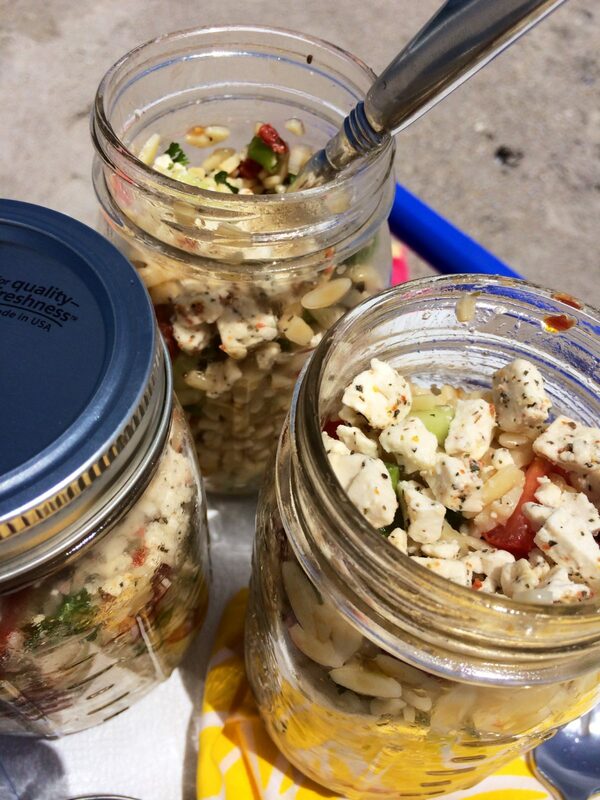 Make your summer simple, practical and delicious! 1. Cook pasta al dente, drain and cool. 2. 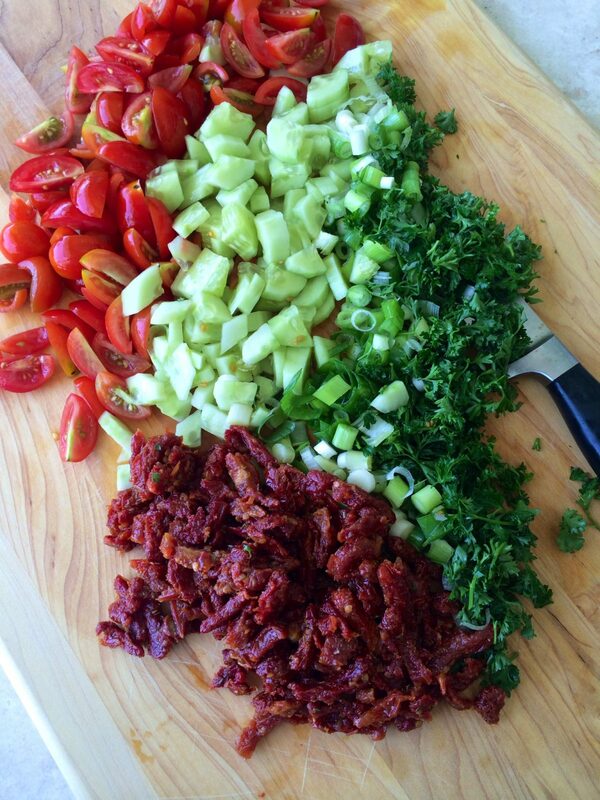 Add all ingredients except feta and mix in a large bowl. 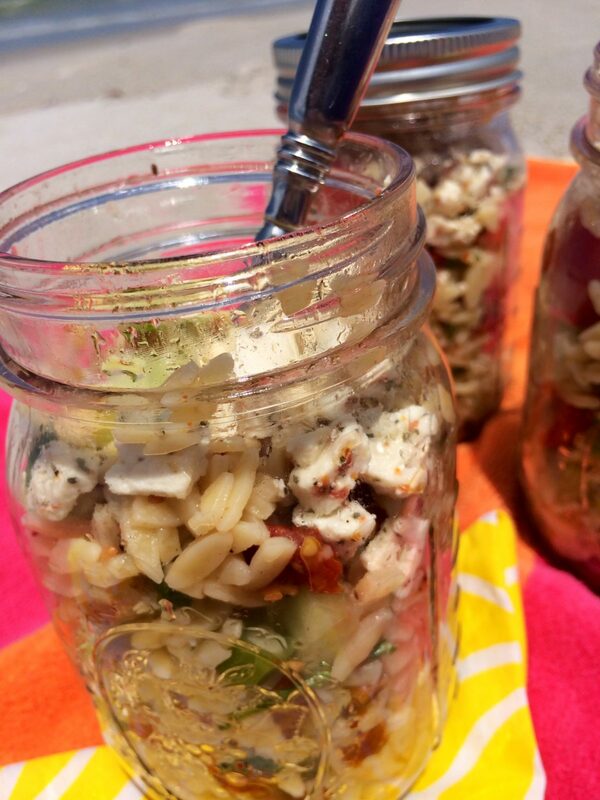 Once mixed, sprinkle the feta on top of salad. Thanks Kathleen! Hope you like it!